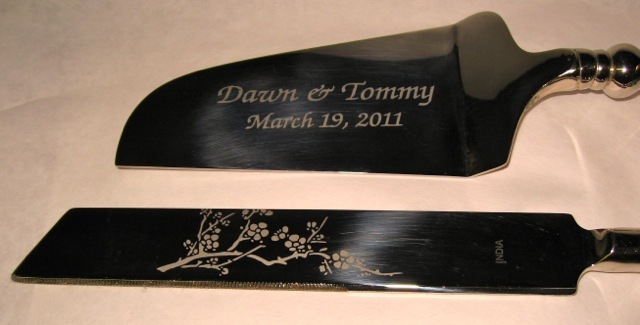 At Sowers, we engraved on all type of different items. From chef knives, cake knives and swords. Yes we can engrave our logos. 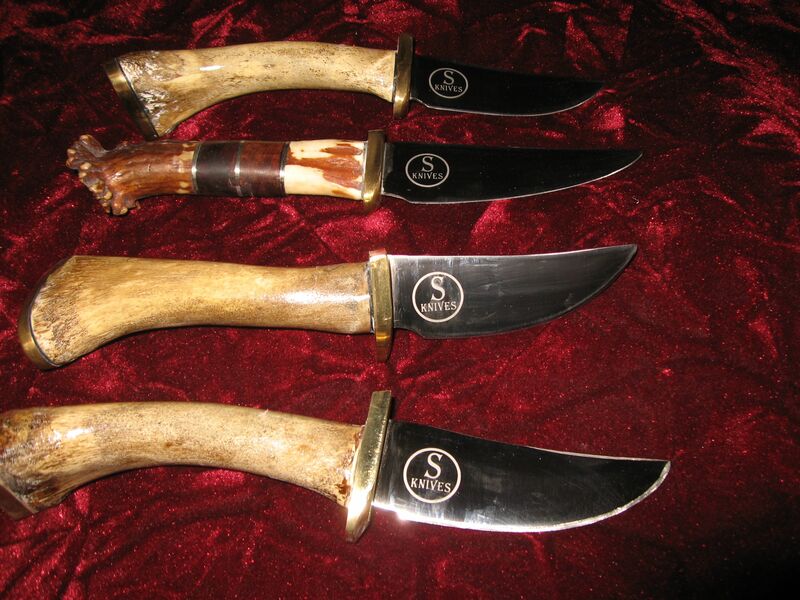 There is a variety of other metal items, the usual stuff like wedding cake knives, pocket knives. We have some of the items that you see here, but many of the items shown here are brought into our store. 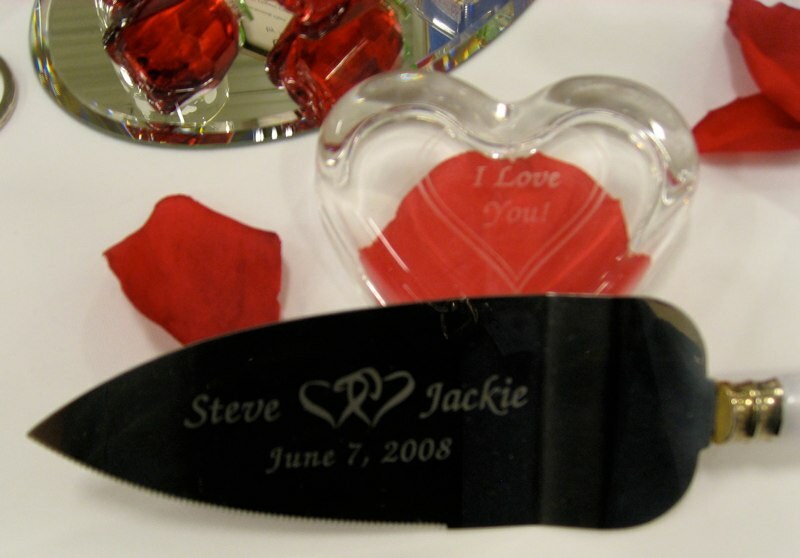 We also offer numerous designs that can be added, for a additional charge, along with text, to our personalized engraved gifts. You can have your company logo or your custom design engraved. This cutlass machete was engraved for a guy that travels all over the world.